‘Nature must always be the architect’s model’ Stanley Thompson. 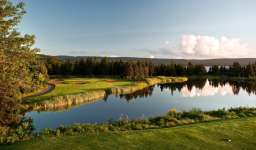 Unlike most of the classic courses in North America, the idea to bring golfers to the remote eastern province of Nova Scotia was formed during the depression years of the 1930’s, the National Park Services of Canada hoping to stimulate tourism interest in Cape Breton Island by building a world-class golf course within its stunning Highlands National Park. 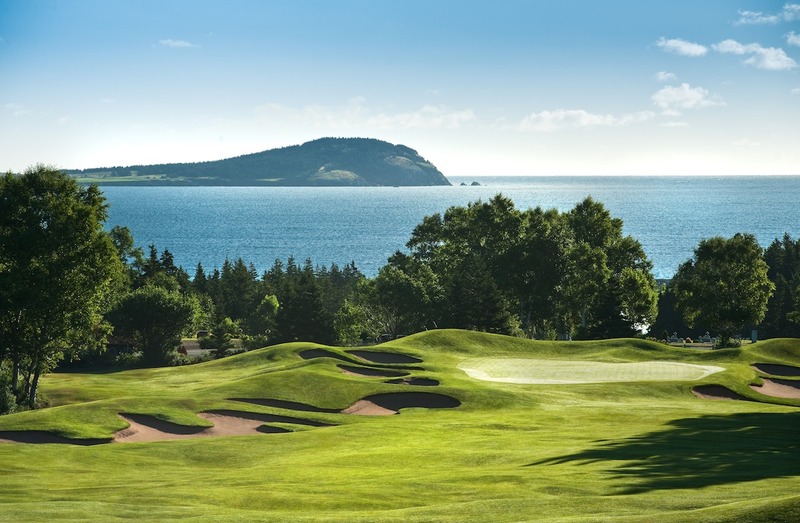 Course architect Stanley Thompson spent weeks studying aerial photographs of the park and scouring a property boasting an abundance of breathtaking ocean, river and mountain views to find his ideal layout. Despite clear instructions, much of the land he selected for his holes actually sat outside the boundaries of the National Park, but Thompson convinced authorities to forcibly acquire land from more than 20 landowners and then eased their pain by ensuring all were compensated and offered jobs during the construction process. Thompson’s elaborate plans for Highlands included an out and back routing with extraordinary variety. Starting beside the Atlantic shoreline, the course crosses a lake tributary and river mouth marshland before following the Clyburn River through a hardwood forest and finally heading back toward the coastline and ending within an undulating woodland. Beyond the mix of landscapes, the sequence of holes here is also unconventional as are some of the long and tiring walks between greens and tees, but building Highlands Links was an epic achievement and the journey through the course reflects this. After a bumpy and bunkerless opener, the 2nd is the first of Highlands’ great holes. Also bunkerless its downhill approach ends with a steep back-to-front green that is set beyond by a small swale and angled in from all sides. The shape and challenge of this target is remarkable as is the delightfully natural short par three 5th green, which is a shallow half pipe cut from the left by a big slope off the surrounding hillside. Following the 5th is a par five adjacent to the river mouth, which is a nice driving hole but shaded by other excellent three-shotters like the short and bumpy 16th, one of those seemingly innocuous holes that continue to bemuse even the most regular players. Other moments of note include the short par four 4th, its narrow green sitting atop a steep knob, the semi-blind 9th, par four 13th and wonderfully original par fives at the 7th and 15th. The finishing holes are also impressive and notorious for the shallow and crumpled target at the short 17th and an immense putting surface full of savage contours on the strategic two-shot 18th. 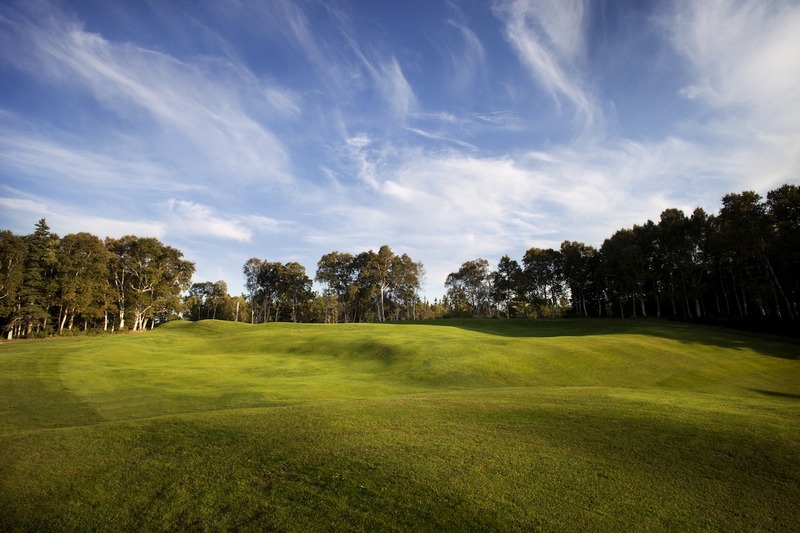 Uniquely shaped green sites like these are a real highlight throughout the course, with the likes of 2, 4, 5, 7, 16 and 18 particularly memorable. Despite a seaside location and some of the bumpiest land found anywhere outside the British Isles, Highlands Links is not a true links although the design style and introduced marram grasses do give it a pretty authentic feel. 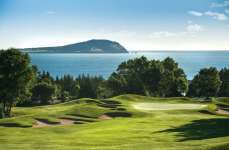 Unfortunately the course does suffer from a short season and an unnecessary lushness courtesy of its new irrigation system, but it has put the Cape Breton region, and in many ways Canada, on the golfing map. A tribute to Thompson’s design genius, Highlands Links is a genuine masterpiece and remains one of the finest and most remote outposts in all of golf.